Some products that contain moringa. I'm not recommending one over the other but you can buy the whole leaves and process them into powder or buy the powder pre-made. 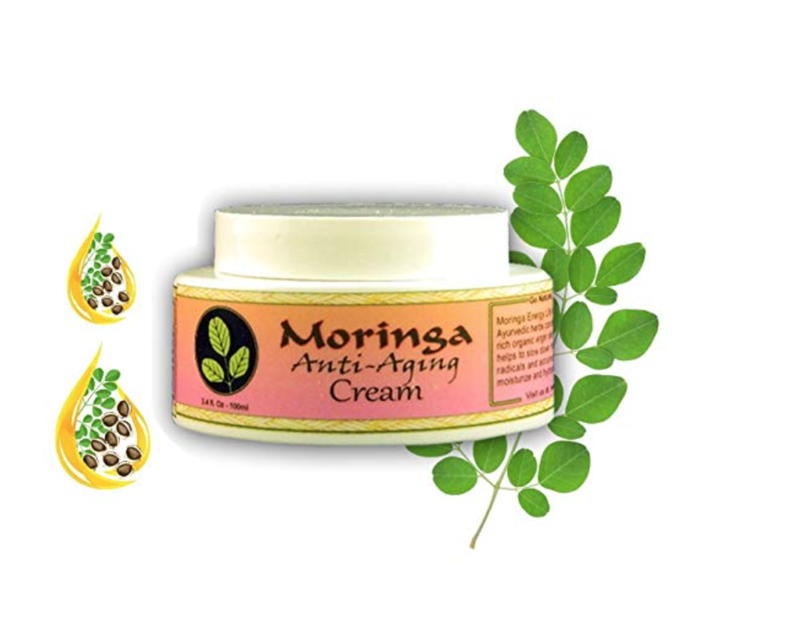 The first time I heard of moringa was in the cosmetic section of a natural foods store for its beauty benefits. When a friend gave me some dried moringa leaves, it was time to look into it some more. Native to the Himalayas, the leaves on this tree are power-packed with goodness. BENEFITS: According to the Natural Society, moringa has more Vitamin C than oranges, more potassium then bananas, and more calcium than milk. 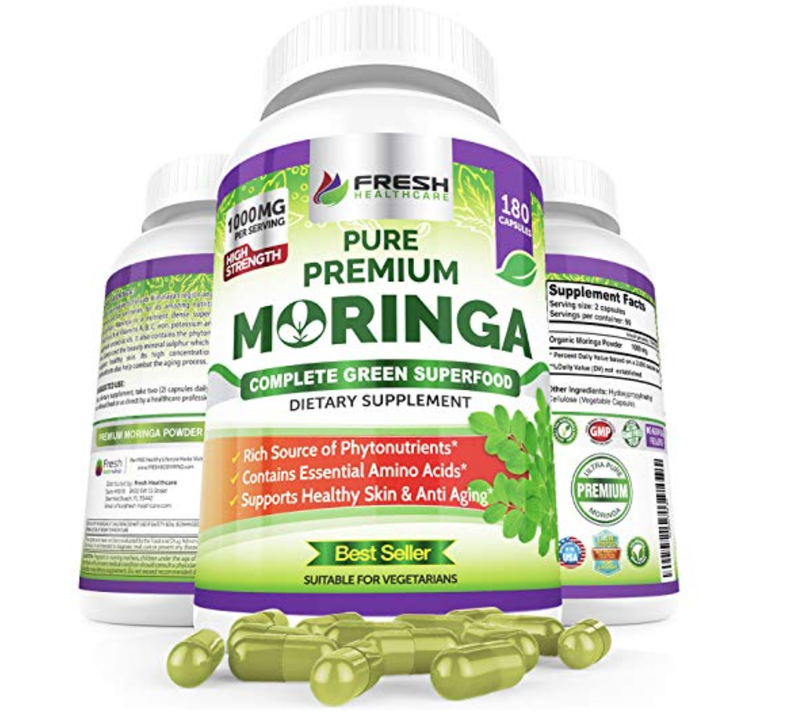 Claiming 92 nutrients and 46 antioxidants, it's no wonder moringa is getting a lot of attention. Here are some highlighted benefits, certainly not all of them here as this blog would be too long. WEIGHT LOSS: Moringa is believed to increase the metabolism due to its dense amount of nutrients. It has a high amount of fiber to cleanse and detox the liver. It does not contain caffeine. In my tutorial video I made a hot "matcha" teafrom grinding up the leaves. LOWER BLOOD SUGAR: Moringa is said to lower blood sugar levels due to its rich amount of Vitamin C, often said to be in decreased levels in the pancreas. Moringa touts itself as a rich source of Vitamin B 12, often difficult to find in modern-time vegetation life. For vegans and vegetarians, this can be an optimal superfood for its V-B12. BEAUTY with Facial Mask Tutorial. Antioxidants are needed for skin to stay youthful. Hair, skin, and nails need nutrients, such as calcium, vitamins A, B, C, D, E as well as minerals, such as copper, iron, zinc, magnesium, silica and manganese...for starters. I took some leaves, ground them to a powderfor a facial mask and tea. OTHER BENEFITS I READ ABOUT: Helping with alzeihmer's, anti-inflammatory, fighting cancers, protecting the brain, liver, and heart. Moringa is also said to promote a good night's sleep. FACIAL MASK: Starting with dried leaves, I made moringa powder by processing them in a blender or food processor. For the mask, take a spoonful of powder and add just enough water to form a paste. Spread the mask on your face, gently massaging in the nutrients in. This mask also exfoliates and sloughs off dead skin cells. Leave on for 15-20 minutes. Wash off.